The Hypochondriac is my favourite Molière play. I recommend this play to anyone who is or has ever been ill (real or imaginary). As in all Molière plays there are disguises (particularly in this play so much so that even the masks of Mission Impossible II start to seem reasonable), there are hidings and/or pretending to be dead, there is a maid wiser than the master, the villain wife who wishes her husband dead so that she can inherit his money, all the usual Molière elements. Are you Monsieur Molière, the author? 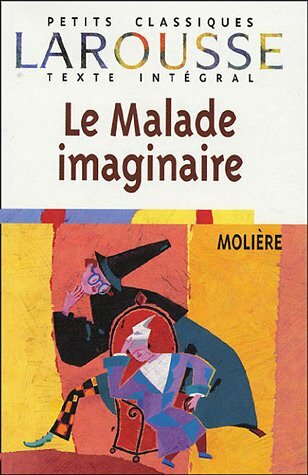 The sad note is that in 1673, Molière was acting on stage in The Hypochondriac (not as Molière the author who was played by someone else, but as Argan) while he was a really sick man. During the fourth performance of the play at the Palais-Royal in Paris, Molière was seized by a fit of coughing and began to spit blood. If you read this play, you will see the irony of Argan (played by Molière) pretending to be dead, and the maid’s explanation of his faux-death by “something wrong with the lungs”. Molière carried on with the rest of the show, but died within an hour after the show ended.